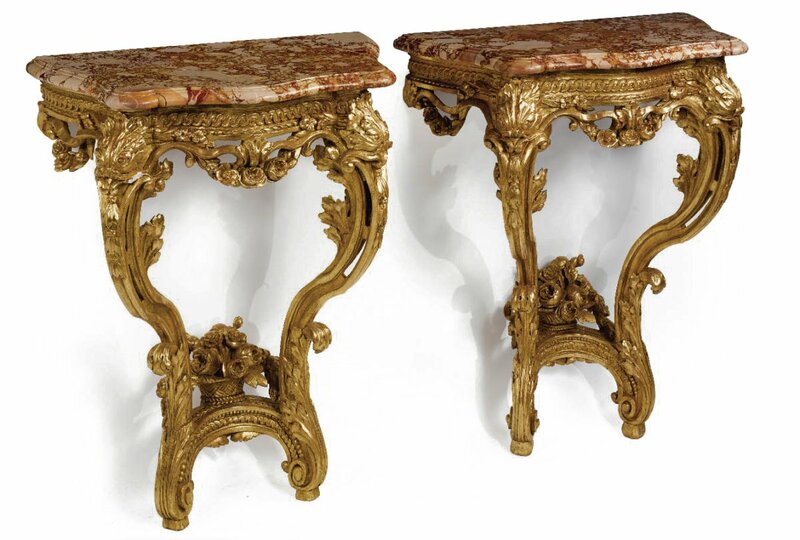 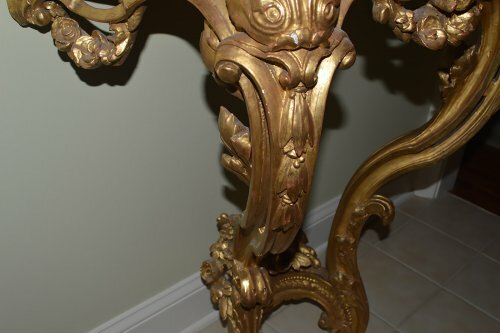 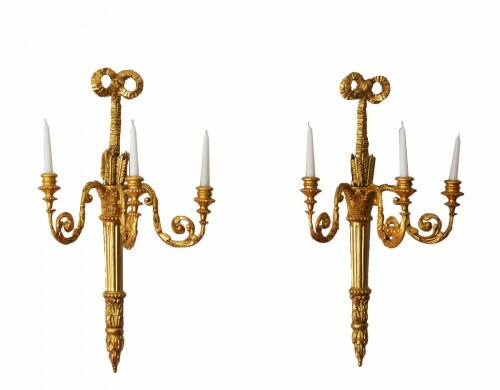 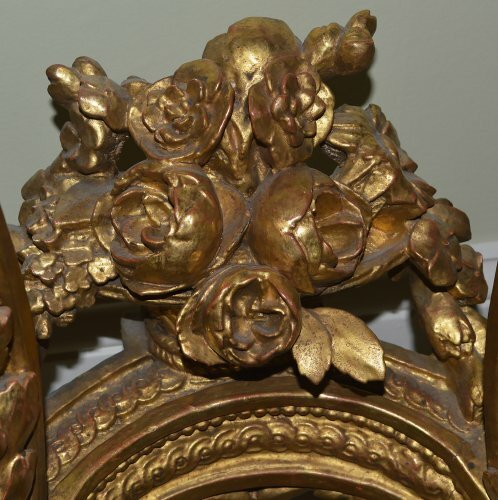 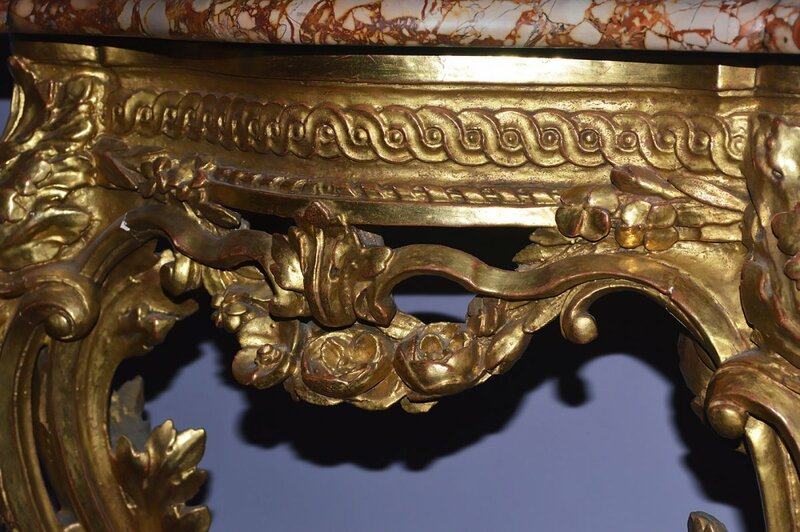 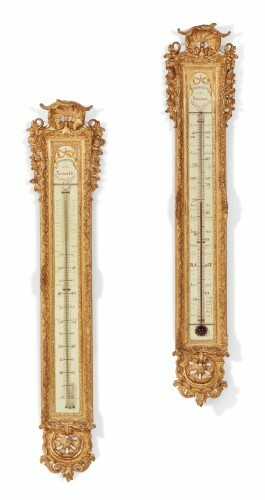 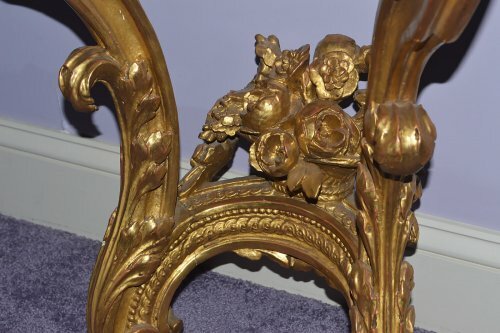 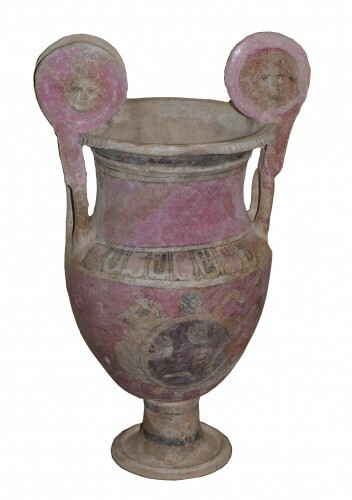 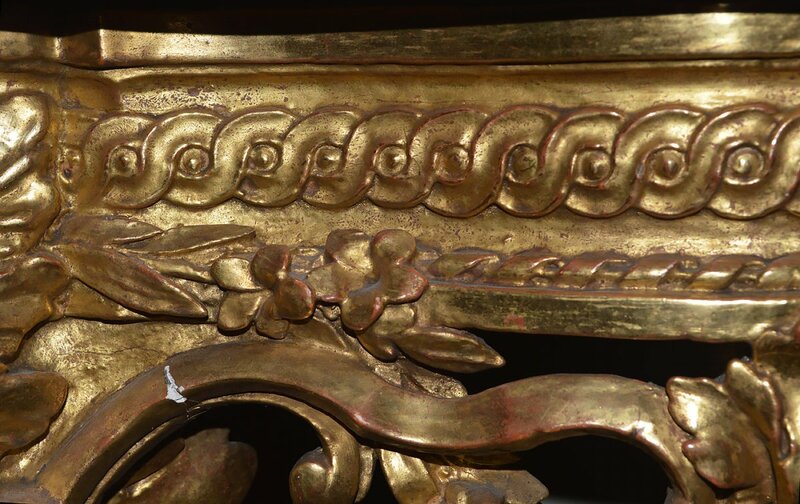 In solid carved giltwood, each having an upper cartouche pierced with roses and lower cartouche centered with corbeille a fleurs (basket of flowers), the whole vigorously carved in guilloche (repeating, interlocking circles) motif, having volutes (scrolls) and acanthus leaves. 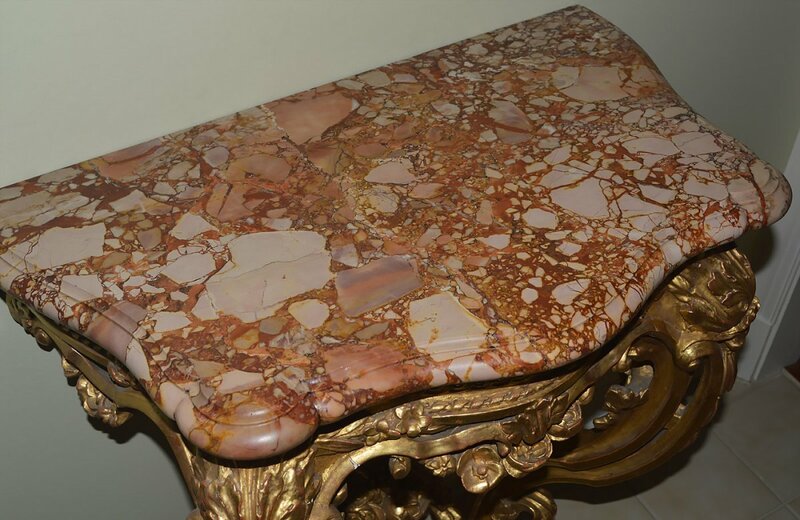 With Breche marble tops in beige with rose veining. Circa 1765.